Take a look at our round up of the latest promos, offers and freebies available this week in Spain. 200€ for microwaves and extractor hoods. Check with your local store regarding free pick up of your old appliance and don’t forget to always compare prices as they may have been inflated prior to the discount! 0% finance on Samsung Galaxy S8 and S9 phones at The Phone House. Repay in 12 months, valid till 16 Apr. 15% off all LG products 12-16 Apr. Samsung Galaxy J7 reduced from 289€ to 229€ until 11 Apr. Galaxy S8 reduced from 769€ to 599€ until 11 Apr. Also up to 20% off Lenovo computers. Fnac PC week, discounts of up to 25% until 19 Apr. Also Huawei smartphone discounts available until 15 Apr. 30thanniversary at Aki stores, with promos until 15 Apr. Includes free transport when you spend 300€ on garden furniture. Zara Home promos until 18 Apr in stores, includes 1/3 off a selection of bedding, including kids’ collection. Take any working power tool to Leroy Merlin stores and get a voucher for 15% off Dexter power tools. Need to join Club Leroy Merlin to receive voucher. Ikea weekly promos: Fejka artificial plant, reduced to 3.99€ ends 15 Apr; from 16-22 Apr Stugvik basket with suction cups reduced from 6.99€ to 4.99€. Buy an LG TwinWash washing machine and get a free TV (up to 49”). Valid for purchases until 30 June, check T&Cs for models included and stores that participate in promo. Get 100 free cans of soft drinks or beer when you buy a Balay Cristal Series fridge. 50% off second My Essentials item at Women’Secret stores and online. 2 t-shirts for 20€ at Jack & Jones. 8€ discount on spring/summer collection when you spend 40€ at Pimkie stores, also online with code SPRING2018. Ends 15 Apr. Intimissimi mid season sale with discounts of up to 30% ends 15 Apr. 3×2 on large selection of ladies’ underwear, tights and socks at El Corte Ingles. Offers on video games consoles, laptops for gaming and accessories at Carrefour, online only. Girls’ dresses from 9€ at Kiabi, boys’ jackets 20€. Free samples of Enfamil 2 milk for babies (click on “descubrir” at link). Danone discount coupons include new mmmh! mousse. (It’s absolutely delicious and comes in 3 types of chocolate, well worth trying even without the discount!). Pompadour teas offers 4 free glass mugs when you spend 20€ on tea capsules. Use code CAPSULASPRING until 15 Apr, delivery is free. Spend 60€ at El Corte Ingles supermarket or Hipercor before 15 Apr and get a 10€ voucher to use 16-25 Apr (also on 60€ min. spend). Additionally 21% off beers when you spend 20€ on beers. Also at Hipercor get a voucher for 20% of value of meat items purchased. Voucher must be used 26 Apr to 9 May on min. 25€ spend on meat. Discounts of up to 50% on facial treatment products at Douglas online only, ends 15 Apr. Ends today, Kiko Cosmetics online and in stores, 30% of 30€ spend. Flash sale at L’Occitane en Provence online, ends tomorrow at 9am. 20% off a selection of Samsonite and American Tourister luggage online until 22 Apr. Free entry 15 Apr to Madrid’s National Library reserved areas. Open from 9am to 2pm, but expect queues! Get a free 1-year subscription to Glamour magazine (in Spanish) when you buy Pure Colour hair dye. KitKat and Smarties Mix-In desserts, by cash back (10,000 available). Spontex kitchen gloves, by cash back. Narciso Rodriguez Rouge fragrance, need to take short quiz online (40,000 available). Disclaimer: All information provided is correct on the date published. Terms and Conditions may apply to each offer. 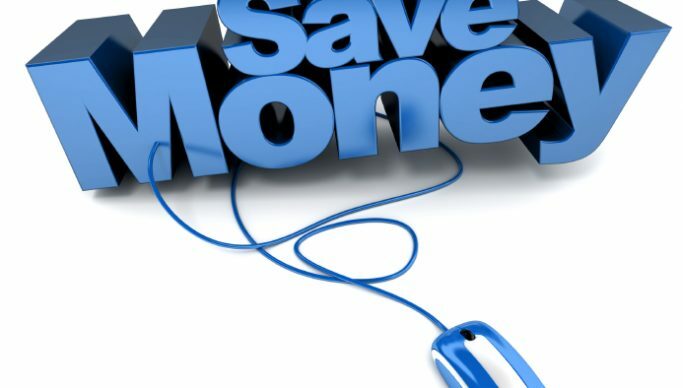 Money Saver Spain is not responsible for any changes introduced by companies regarding their promos and offers.